There’s nothing fun about removing snow. It’s a little like shoveling mud. Snow can be wet, extremely heavy, and require up to an hour or more of backbreaking work to manually shovel and remove. And when you live in an area like Quincy where we get around 4 feet or more of snow on a yearly basis, it can be a physical and mental strain to keep up with it. Once you’ve finally cleared it, it snows again a few days later and you’re back at square one. 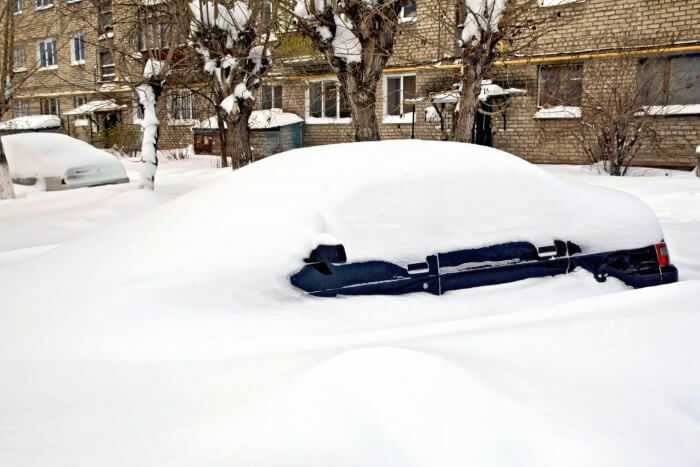 Unfortunately snow storms don’t follow a set schedule and when they hit, they can bring your plans to a complete halt by burying your vehicle and driveway in a ton of snow and ice. But there’s no need to layer up with several coats, scarves, gloves, mittens, caps, and a heavy pair of boots just to go out in the freezing cold to spend the better part of an hour freeing your vehicle when we can do it in a fraction of the time. Quincy Snow Removal is readily available at all times and can respond quickly whenever a snow storm comes. After a heavy snowstorm, your vehicle might be completely stuck and covered in snow and ice that’s difficult to remove, and your driveway is sure to be in the same condition. Few of us have the time or energy to keep up with repeated snow storms, and a great bonus of having us come clear your vehicle for travel is that we can quickly snow plow your driveway as well to ensure you’ll be able to leave and return conveniently and safely. As we mentioned, the snow removal you spent an hour or more accomplishing yesterday can be all but gone when you get up today. Unfortunately, it seems like as soon as you clear your driveway you hear about another snow storm bound for the region! But you don’t have to resort to scraping snow and ice off your car or shoveling your driveway yourself when there are fast and affordable services like ours available. It doesn’t matter how much or how little snow you need removed, when you search for “snow removal services near me” and you find us, you can count on our top rated reliable snow removal services. Your health, safety, and time are much more important than the small expense of having a professional snow company drop by and quickly, efficiently, and affordable clear your driveway, your car, and any other space on your property you need. It’s always wonderful when friends and family can help you clear your car one morning, or help out with driveway shoveling, but when a big storm hits and everyone is in the same boat, you can find yourself stranded in a sea of snow. If friends, family, and good Samaritans are unavailable, it’s critical to have another plan. This is why hiring an efficient snow removal service like Quincy Snow Removal is more than beneficial. All it takes is a quick phone call and we’ll save you time, energy, numb fingers, and more while the job gets finish. When you call Quincy Snow Removal, we ensure you will receive fast and efficient car snow removal service that gives you back control over your plans, even in a harsh winter season. Our car snow removal services remove the strain of having to deal with heavy snow and dangerous ice on daily or weekly basis so you can enjoy your winter more and worry less about the weather.